The Wikipedia profiles of women in technology and engineering will be updated at an "edit-a-thon" held at the Royal Society next month. The profiles chosen to be updated will all be of historical figures. Those unable to attend the session in London on 19 October will be able to take part online. 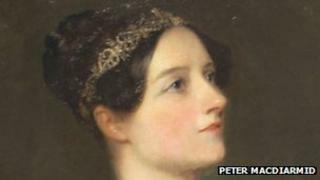 The event has been organised as part of annual celebrations to celebrate the legacy of Ada Lovelace. She worked with mathematical engineer Charles Babbage on his "analytical machine" in the early 19th Century. The machine, which was designed 163 years ago but not built until 2002, is considered to be the foundation for modern computers. Ada Lovelace day aims to raise the profile of women currently working in the fields of science, technology, engineering and mathematics. Among the profiles being considered for the edit-a-thon are Dame Kathleen Lonsdale, a crystallographer who discovered the chemical structure of oil component benzene, and Dr Elsie Widdowson who oversaw the introduction of vitamin supplements to food during World War II rationing. At the time of writing, another candidate, Mary Buckland, was mentioned only in her husband William's Wikipedia entry although the pair worked together as palaeontologists finding, recording and identifying fossils in the 1800s. Uta Frith, professor in cognitive development at UCL and a fellow of the Royal Society, will be leading a panel discussion after the edit-a-thon. "The Wikipedia idea struck a real chord in me because I read about a year ago that the typical person who writes entries for Wikipedia is a man. That really started alarm bells ringing because we don't think about it - who is doing all this work?" she said. Prof Frith is concerned about the visibility of women in the fields of science and technology. "Can you immediately come up with a handful of names of female staff in technology? Is that because there aren't any or because they're sort of invisible?" she said. "It's a catch-22 - if you can't find them easily in a place like Wikipedia, you won't know anything about them. You'll think they are not important." Prof Frith told the BBC she intended to personally create a profile for Mary Buckland at the event, although one has since been created already. "She did the most exquisite anatomical drawings of fossils, we have some of them at the Royal Society," she said. "I hope this event will be the start of many more, where we can also improve the visibility of living female scientists."